After she sees a cop shoot her friend, Starr must find her voice and stand up for what's right. 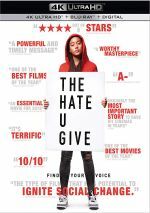 A coming-of-age drama infused with social issues, 2018’s The Hate U Give introduces us to Starr Carter (Amandla Sternberg), a high school student. Though she lives in a poor, mostly African-American neighborhood, Starr attends Williamson, a prep school with a largely wealthy white population. These “two worlds” require Starr to walk a fine line, one that explodes when she sees a police officer fatally shoot her friend Khalil (Algee Smith). This tragedy forces Starr to confront a variety of concerns and deal with different stresses. 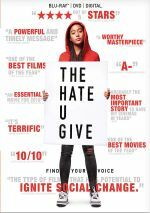 Though Hate got very good reviews, I skipped it theatrically because it felt like the trailer gave away too much. Some films can get away with ads that reveal substantial plot information, but based on the promo, I felt like I already knew too much about where Hate would go. As it happens, I judged prematurely, as Khalil’s pivotal murder occurs pretty early in the film. The vast majority of Hate examines the repercussions and how Starr deals with the aftermath. Though Hate’s story explores more territory than I anticipated, I’m not sure the movie takes an overall path that proves especially winning. Rather than create a compelling character drama, the film often feels more like a compilation of social lessons. I might be in the minority about this, but I think Hate would’ve worked better without Khalil’s murder. That event gives the movie more of a dramatic arc, but it’s also one we’ve seen in other films. On the other hand, a story that focused on issues connected to how Starr “code switches” and leads two different lives would be more interesting. Though Hate taps that topic in a minor way, it doesn’t expend nearly as much energy on this dilemma as it could – and probably should. Instead, Hate often feels like a movie built around social commentary. For instance, the tale grinds to a halt so a civil rights attorney (Issa Rae) can speechify at Khalil’s funeral. To be sure, the film’s social points make an impact, but their predominance means Hate becomes less of a character drama and more of a didactic civics lesson. I don’t think it reveals truths that don’t already seem patently obvious to most people – at least most people who would watch a flick like Hate. Face it: the folks who need exposure to the movie’s POV don’t seem especially likely to view it. A film like Hate will most likely find an audience of those inclined to agree with its perspective. Again, none of this intends to invalidate the information on display, as I back the attitudes and lessons we get. I just think these factors rob the movie of much basic drama, mainly because the characters tend to feel like “objects” in pursuit of social goals instead of full-blooded people. Though the actors do their best. In her short career, Stenberg has proven to be versatile, and Hate brings arguably her best work, as she manages to overcome the script’s limitations and bring real substance and heart to Starr. With talented actors like Rae, Regina King, Russell Hornsby, Anthony Mackie and Common in tow, Hate delivers a series of solid performances. I just wish the roles as written boasted greater depth and dimensionality. Ultimately, Hate seems well-intended and more than watchable, but it lacks the dramatic heft it needs. The movie cares more about social lessons than real character drama, and that becomes a notable weakness. The Hate U Give appears in an aspect ratio of approximately 2.40:1 on this Blu-ray Disc. This became a positive presentation. Sharpness was almost always appealing. A minor amount of softness crept into a couple of long shots, but otherwise the image remained tight and well-defined at all times. In Hate, Starr’s “real world” went with an amber/orange tint, while her “white world” opted for teal, though the film tossed in other hues as well, such as bold reds at a party. Within the movie’s color design, the tones seemed solid. As for the DTS-HD MA 7.1 mix of Hate, it showed scope typical of the drama genre. This meant a semi-limited soundscape without much to make it stand out from the crowd. Party shots added a bit of immersiveness, as did a few other exteriors and scenes with violence, but those instances remained fairly infrequent. Most of the flick came with a lot of ambience and not much else. Music seemed warm and deep, while effects showed nice clarity and accuracy. Again, nothing about the mix impressed, but it suited the story. 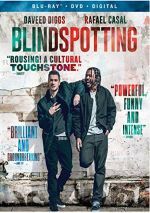 We get an array of extras here, and we start with an audio commentary from director George Tillman Jr., novelist Angie Thomas, editor Craig Hayes and actors Amandla Stenberg and Russell Hornsby. All five sit together for this running, screen-specific look at the source novel and its adaptation, story/characters, cast and performances, sets and locations, music, editing, and connected domains. Overall, this becomes a pretty good track. Occasionally it drags – especially as the movie progresses – but it brings us a fairly informative collection of observations and merits a listen. We get three Extended Scenes: “Maverick and Seven Protecting Their Home” (1:11), “Uprising” (12:33) and “Seven’s Graduation” (1:45). Given its length, obviously “Uprising” becomes the most substantial of the clips, but it doesn’t really add a lot of interesting new information. Actually, “Graduation” creates the most enjoyable added material, as it shows fun interplay among the parents. The other two seem less engaging. Six featurettes follow, and we start with Starting a Conversation. In this 10-minute, seven-second reel, we hear from Tillman, Stenberg, Thomas, Hornsby, and actors Regina Hall, Common, Lamar Johnson, Dominique Fishback, and Anthony Mackie. “Conversation” looks at racism in modern society. This threatens to become a bit pedantic, but the parts in which the participants discuss their own experiences offer some powerful statements. Next comesThe Talk, an eight-minute, 25-second piece with Hornsby, Thomas, Johnson, Mackie, Tillman, Stenberg, and actors Algee Smith, TJ Wright and Issa Rae. The featurette’s title refers to the conversation African-American parents have to tell their kids how to behave with police. Like the prior clip, the real-life experiences bring power to the program and make it effective. With Code Switching, we get an eight-minute, 46-second clip that features Thomas, Stenberg, Johnson, Common, Smith, Fishback, Tillman, and actor KJ Apa. This clip examines ways African-Americans need to alter behavior to fit into different settings. It follows the prior reels well and gives us useful insights. Shine Your Light runs 13 minutes, 42 seconds and includes Stenberg, Thomas, Tillman, Hornsby, Common, Johnson, Fishback, Rae and Hall. In “Shine”, we get notes that focus on the lead character and Stenberg’s performance as well as related topics. The clip can feel a little fluffy at times, but it gives us a few good notes. The featurettes finish with The Heart of Georgia (5:05) and Thank You Georgia (2:11). Across these, we hear from Stenberg, Smith, Tillman, Mackie, Hornsby, Hall, Common, Thomas, producers Marty Bowen and Robert Teitel, executive producer Timothy M. Bourne, and production designer William Arnold. The clips examine sets and locations. While a smattering of positive thoughts appear, these reels often feel like an advertisement for Georgia. A Gallery includes 36 images. We find production photos, and the compilation works fine. In addition to the film’s trailer, Sneak Peek includes ads for The Darkest Minds, Love, Simon, Sorry to Bother You, Detroit and Season One of The Chi. A second disc provides a DVD copy of Hate. It includes the same extras as the Blu-ray. With a timely social message and excellent performances, The Hate U Give brings us a perfectly watchable drama. However, it devotes too much time to lectures and lessons so it doesn’t become as deep and engaging as it should. The Blu-ray brings solid picture and audio along with a reasonably useful set of supplements. Hate occasionally sparks to life but its penchant for speechifying limits its impact.